I bought about $20 worth of these on a Walmart stop a couple months ago and accidentally broke one open while storing them, so I decided to try it. I could not stop eating it, wow! 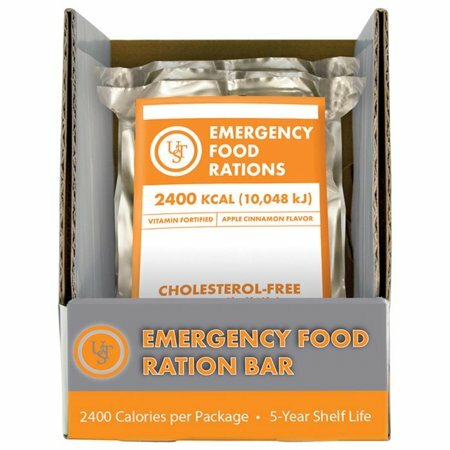 My wife even liked it and she's a finicky eater when it comes to emergency survival type food. The apple cinnamon flavor was spot on and it went down smooth without the need to wash it down with a drink. It didn't even make me thirsty, but the package did indeed keep me full for the rest of the day. We liked them so much we bought 2 cases of them "just in case". I opened one of mine out of curiosity. The apple-cinnamon flavor is actually pretty good. Honestly, it has the consistency, texture, and flavor of a pop tart without the fruit filling. As a survival food, it will do the job.